‘Holding All the Roses’, the latest album from Atlanta southern rockers Blackberry Smoke, is out now on digital platforms in a new Deluxe Edition, featuring six acoustic bonus tracks. Originally released in February this year, ‘Holding All the Roses’ was recorded with producer Brendan O’Brien and landed in numerous top 20 charts around Europe. 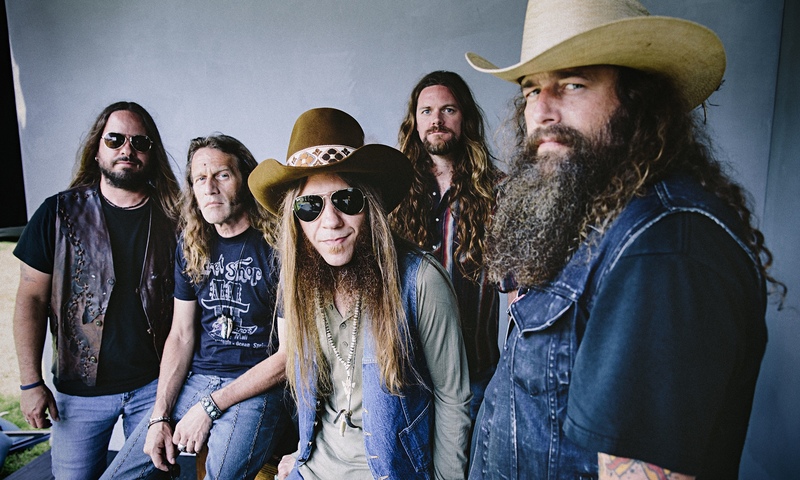 Now, to celebrate Blackberry Smoke’s upcoming UK and European tour, the album has been combined with the band’s Record Store Day release, ‘Wood, Wire & Roses’, to offer six unmissable acoustic bonus tracks, including a Tom Waits cover of ‘Old Shoes (& Picture Postcards)’. The album gained praise across the globe and debuted at No. 1 on the Top Country Albums chart, No. 7 in the US Rock chart, Top 20 in the UK chart and No. 29 on the Billboard 200, selling 19,200 copies for the first week.